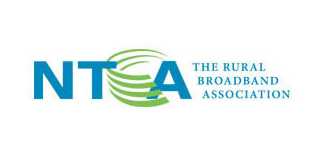 Discover popular videos, webinars, white papers and articles on AS2, a transfer protocol that secures and exchanges data over the internet. GoAnywhere MFT can help you stay on top of the latest requirements for several compliance regulations. Browse these videos, webinars, white papers and articles to learn more. Learn how to make file sharing and collaboration easy with popular videos, webinars, white papers and articles on GoDrive, GoAnywhere’s Enterprise File Sync & Sharing module. Explore everything you need to know about Managed File Transfer (MFT), including what it is and how it works, in these popular videos, webinars, white papers, and articles. Discover popular videos, webinars, whitepapers, and articles on how the Open PGP encryption standard works in GoAnywhere MFT. GoAnywhere Managed File Transfer can be deployed to a variety of cloud, on-premises, and hybrid environments on a multitude of platforms. Explore these integrations here. Discover popular videos, webinars, white papers, and articles on how secure FTP (SFTP, FTPS, and SCP) works in GoAnywhere MFT. Use these brochures and data sheets to explore GoAnywhere’s key features and benefits, compliance specifications (for regulations like PCI DSS and HIPAA), platforms and integrations, and exciting add-on modules. Organizations like yours benefit from implementing GoAnywhere Managed File Transfer in their environment every day. Learn how they’ve addressed problem areas and increased cost savings in these detailed case studies. Read what GoAnywhere customers think of our secure file transfer solutions. Our testimonials include those submitted through online review sites like Gartner Peer Insights, Capterra, and G2 Crowd. Follow along with our tutorials on how to perform common functions in GoAnywhere MFT. Take a tour of GoAnywhere Managed File Transfer, GoAnywhere Gateway, and their add-on modules with these short, informative videos. Our video library also includes clips on File Sync & Sharing and Open PGP encryption. Learn how GoAnywhere customers have used our solutions to solve their business problems, improve their workflows, and automate their file transfers with secure FTP. You can watch the interviews or read the included transcripts. Our webinars cover a multitude of information. Browse our recordings to learn anything from how to streamline your file transfers to how to remain proactive in your cybersecurity practices. Looking for in-depth information on data security, encryption, the cloud, secure file transfer and AS2 transfers, or compliance requirements in your industry? Look no further than our white paper library. These webinars, tutorials, blog posts and more will help you take advantage of everything GoAnywhere has to offer. 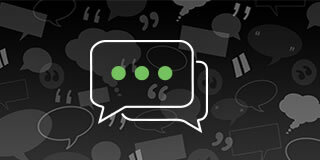 Have questions on popular industry topics? Learn everything you need to know about subjects like AS2, SFTP, data breach response plans, and the cloud in this collection of informative articles. The latest Managed File Transfer resources from white papers to webinars are easily accessible in our Resource Center. In this webinar, Dan Freeman, CISSP and Senior Solutions Consultant at HelpSystems, will show you how to go on the offensive with your data. 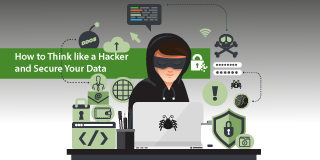 It’s not enough to react to a security incident; with today’s levels of data breaches, it’s important to go a step further and think like a hacker. Join Dan Freeman, CISSP and Senior Solutions Consultant at HelpSystems, to explore how adding a secure managed file transfer solution to your cybersecurity strategy can help safeguard critical data in transit and at rest. Protecting customer data is a top priority for banks. 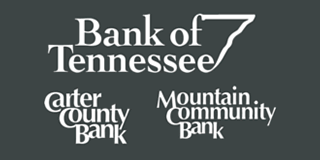 That’s why the Bank of Tennessee uses a managed file transfer solution to streamline file security, reporting, and alerting. With data breach incidents on the rise, it's time to stop playing defense with your data. Request this guide to learn how to look at your cybersecurity practices from a different point of view. Download the report by Info-Tech Research Group for a comparison of managed file transfer vendors like GoAnywhere MFT, Ipswitch MOVEit & more based on user reviews. "The stability and ease of use and setup have been lifesavers for us. We have been able to hand off almost all our MFT tasks to our operations group, rather than taking programming resources for those functions. We also have seen a drastic improvement in the number of transmission errors or dropped connections. We have a third-party monitoring company that is constantly hitting our GoAnywhere site (24x7) with all the different file transfer protocols. The weekly report that we get from this company is rarely anything but 100% successful with GoAnywhere. Our previous MFT product was consistently in the 90-95% range. Support has been excellent. Upgrades have been seamless, non-events. The price was significantly lower than almost all the other MFT products we looked at. We couldn't be happier with this product." 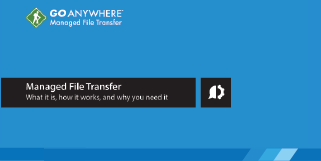 "[GoAnywhere is a] great managed file transfer application. An enterprise-level quality solution for file transfers, cross-network sharing including external sharing. This product does it all. We were able to streamline several front-end customer sharing processes and automate them through GoAnywhere. Our development team creates workflows to be able to automate several processes to transfer information securely to financial institutions and firms. 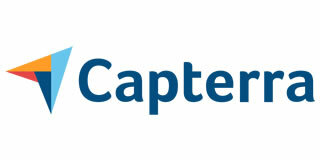 Our internal ERP system leverages it to transfer data across servers via projects. All manageable and visible via a good admin portal. Great customizability and control. What more can an admin ask for?" "GoAnywhere MFT platform helped us build lot of file-based integrations with internal [and] external systems. The overall process is very simple and very effective, and it offers lot of other features as well along with file transfer: secure file transfers, public private key encryption, key management tool, capability to transform data between csv, xml, database, etc." "Having been immersed in Internet Protocol file management processes since the 90's, I've utilized several applications for the execution of FTP, SFTP, SMTP, SSH, etc. tasks. GoAnywhere is a welcomed evolution in the discipline in that it handles just about any protocol and provides all the necessary tools for simple, verifiable scripting of just about any file management solution one could require." 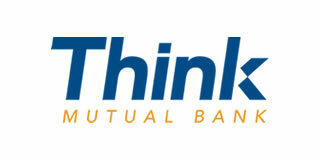 "We use [GoAnywhere MFT] mainly for processing vendor invoices and customer EFT payment advices. This saves our accounting department many hours every day processing simple and redundant tasks. They have more time for problem solving." "[GoAnywhere MFT] is web-based which allows us to use it from any workstation (no PC client - yeah!) and it handles all the complexities of secure file transfers and file manipulations in various formats with ease that frees our time to focus on rapidly delivering business solutions v. wasting time on manually coding." "[GoAnywhere MFT] almost 'does it all'. We bought it to do file transfers on the System i (AS/400). However, we found that we can also initiate transfers from .NET via Web Service calls, use it to generate reports to Excel Spreadsheets (including formatting columns -- we would've had to write programs for some of the awesome reporting uses) as well. 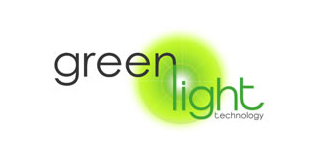 We have since purchased Secure Folders and Inbound FTP and have utilized Monitors and Triggers to provide faster response time to processes." 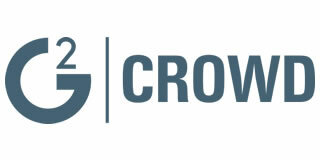 "I like how scalable [GoAnywhere] is with projects! You can adopt anything you like in an easy to use interface and you can literally meet any business requirement thrown at you. Auditing makes it really easy to troubleshoot and gives a clear picture of all the activity being done by our clients. It also implements good security features such as IP whitelisting per user account which makes it much more secure and puts our mind at ease especially for sensitive projects." 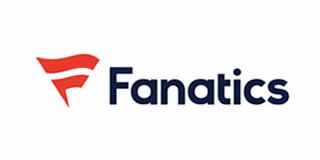 "The flexibility of GoAnywhere MFT is our favorite feature. It can be configured to automate so many of the tasks we used to perform manually or with clunky Linux scripts. With GoAnywhere MFT, we have full logging and auditing capabilities, and the advanced reporting tools are excellent. [Plus,] our Enterprise currently moves over a million files a week, and the stability and efficiency of GoAnywhere MFT has really helped us become more productive." "GoAnywhere MFT has been a godsend for our team - the ability to not only have an extremely easy and secure server to configure for HTTPS and SFTP sharing, but also the ability to have Workflows to perform routine tasks and procedures for us that before were strictly manual. Setup time was incredibly simple and easy, and the system has been incredibly intuitive to use daily." 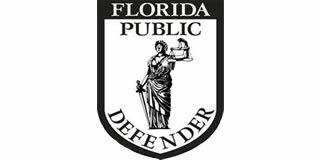 When the county clerk’s office stopped accepting paper documents, the Public Defender’s Office - 4th Circuit found GoAnywhere MFT, a solution that reduced employee workloads, improved collaboration, and satisfied compliance requirements for web service connections and e-filing. Read the full case study to learn more. GoAnywhere is a secure managed file transfer (MFT) solution that makes it easy for IT professionals to exchange files with business partners. From small businesses to enterprise organizations and everything in between, GoAnywhere can resolve your file transfer headaches, protect sensitive data from external risks, achieve key compliance requirements, and more. Is your organization using legacy programs or unsecured processes to transfer files on the IBM i? It can be time consuming to write and maintain file transfer scripts, solve connection issues with trading partners, and ensure data is protected every step of the way. Join us to learn how to streamline, secure, and audit your file transfers. We’ll cover the benefits of secure protocols and encryption, common pain points with traditional file transfer methods, and how a solution like GoAnywhere MFT can help you simplify and centralize file transfer activity between vendors, customers, and trading partners. Here at HelpSystems, we continue to develop new product features that help your organization keep up-to-date with today’s biggest changes and challenges in cybersecurity, technology, and compliance. For GoAnywhere MFT 6.0, this means adding several enhancements that you, our customers, have asked for to meet specific business requirements in your organization. Moving from CoreFTP and WinSCP file transfers may seem challenging. See how this global healthcare IT company found time and cost savings with GoAnywhere Managed File Transfer and never looked back. From achieving easy trading partner connections to saving time and money on energy costs, hardware upgrades, unexpected downtime, and more, moving a portion of your file transfer processes to a cloud environment can improve your organization in surprising ways. The cloud offers much to those who consider it—and so does a GoAnywhere MFT cloud deployment. Learn how your organization can benefit from a Managed File Transfer (MFT) and Content Disarm and Reconstruction (CDR) technology integration. In this live event, you’ll learn how two solutions, GoAnywhere MFT and Votiro Disarmer, work together to create a powerful security layer for critical file transfers. Is your organization using legacy programs or unsecured processes to transfer files in IBM i or AIX environments? It can be time consuming to write and maintain file transfer scripts, solve connection issues with trading partners, and ensure data is protected every step of the way. Join us to learn how to streamline, secure, and audit your file transfers. We’ll cover the benefits of secure protocols and encryption, common pain points with traditional file transfer methods, and how a solution like GoAnywhere MFT can help you simplify and centralize file transfer activity between vendors, customers, and trading partners. What is AS2 and how is it used to send and secure critical file transfers? Explore everything you need to know about the Applicability Statement 2. How is your organization moving sensitive files? Human error, inefficiency, and lack of encryption are common challenges IT and security professionals face when sharing files inside and outside the organization. If you’re looking for a better way, join us for a recorded webinar on best practices to help you improve the security and efficiency of your day-to-day file transfers. We’ll also take a look at how a secure file transfer solution helps organizations of all sizes reduce mistakes, save time, and comply with security standards and regulations like the GDPR, HIPAA, PCI DSS, and more. Find out how GoAnywhere MFT can help banks and financial organizations meet file transfer requirements for auditing, reporting, automation, encryption, and compliance with PCI DSS. Sentara Healthcare Vice President and Chief Information Security Officer Dan Bowden shares the integrated health system’s efforts to comply with HIPAA and protect sensitive files and patient information wherever and whenever accessed. Learn how you can prevent lost revenue with GoAnywhere MFT’s active-active support and load balancing. You’ll learn how GoAnywhere can cluster GoAnywhere installations for a scaled environment, distribute file transfers and workflows across live clusters in case of system failures, and process high volumes of enterprise file transfers via load balancing. Are these users on your security watch list? Protect your organization from internal threats with this guide. You'll learn how to identify problematic user types and prevent risky behaviors that could lead to a data breach. Discover everything you need to know, from industry and compliance considerations to the evaluation process, in this ultimate buyer's guide to secure managed file transfer. 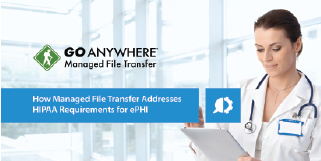 Explore how GoAnywhere MFT can help you meet file transfer security requirements for a variety of compliance laws and regulations. 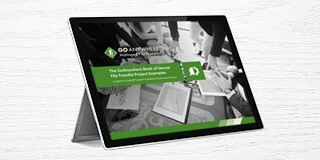 GoAnywhere MFT is an enterprise secure file transfer solution. Watch the video for a brief product overview. Find out what MFT is and how organizations use it to secure sensitive files in transit, centralize administration, and automate workflows for better business efficiency. Learn how to download and activate a GoAnywhere MFT Trial License. Learn how to download and install Cloud Connectors and how to use Cloud Connectors in Project Workflows. Learn how to enable and use Time-based One-Time Passwords in GoAnywhere MFT. 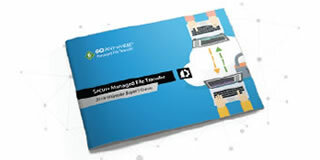 Don’t miss this in-depth look at GoAnywhere MFT 5.7 features and integrations. Are most cybersecurity best practices true? 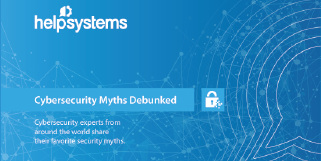 To determine fact from fiction, HelpSystems asked six security experts from around the world to debunk their favorite IT security myths. Download this guide to discover their answers. Watch this webinar and imagine your own one-of-a-kind MFT use cases. In The GoAnywhere Book of Secure File Transfer Project Examples, you'll discover countless ways your peers use MFT in their organization. We share examples by industry, business initiative, and product feature, as well as give you tips on how to apply some of these ideas yourself. 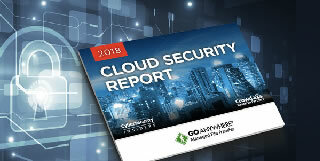 In this report from Cybersecurity Insiders, you'll discover what your peers—IT and cybersecurity users from organizations worldwide—think about this year's cloud risks, opportunities, and strategies. 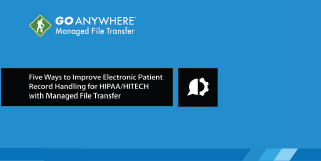 Find out how GoAnywhere MFT can help you address HIPAA requirements through features like encryption, user authentication, and key and certificate management. Find out how GoAnywhere MFT can help you address GDPR requirements through key features like encryption, integrity checks, and detailed audit trails. Find out how GoAnywhere MFT can help you address PCI DSS requirements through key features like encryption, role-based security, and detailed audit trails. Use this brief product overview to explore how our reverse and forward proxy software, GoAnywhere Gateway, works to secure your data. Discover Secure Mail, our ad-hoc alternative to PC file transfer tools, with this quick look at how the module works. Discover GoDrive, our Enterprise File Sync and Sharing (EFSS) solution, with this quick look at how the module works. Do you need remote file transfer capabilities? GoAnywhere Agents provide real-time remote workflow and file transfer capabilities controlled from a central GoAnywhere MFT server. GoAnywhere's Web Client helps business users quickly share confidential messages and files through a modern browser-based interface. See it in action here. Find out how the SFTP Server in GoAnywhere MFT works to secure your files with two-factor authentication, SSH keys, and more. For employees looking for an easy, secure way to share files, GoAnywhere Secure Mail provides a solution. See the whole process, from encryption to delivery, in this quick video. Quickly build and manage project workflows with the GoAnywhere project designer. Get a quick intro on how to build simple and complex workflows in this video. Find out how to automate the encryption, signing, verification, and decryption of your files with GoAnywhere Open PGP-compliant encryption technology. GoAnywhere MFT streamlines the integration with MQ systems by sending and receiving messages with queues and topics. See it in action when you watch the video. GoFast is a file acceleration protocol in GoAnywhere that can transmit data considerably faster than FTP. Watch the video to find out how it works. GoDrive is on-premise, enterprise file sync & sharing software. This short video will show you how GoDrive makes it easy for teams to upload files securely into GoDrive for efficient collaboration. GoAnywhere MFT installs in a variety of platforms, including Windows. See how effortless it is in this short video. See how GoAnywhere naturally integrates with third-party ICAP solutions like Clearswift to automatically review files for threats and keep data safe. See how our DMZ gateway, GoAnywhere Gateway, enhances security by keeping files out of the DMZ and allowing you to keep inbound ports closed into your private network. Get freedom to manage file transfers from any internet-connected PC with the Advanced Administrator Interface. Learn what features are offered, from customization to reporting, in this video. 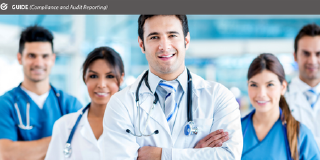 Use this all-inclusive product overview brochure to explore GoAnywhere MFT's many features, modules, partners, connections, and platforms. Boost your knowledge of the GDPR and discover how a secure file transfer solution like GoAnywhere MFT can help you achieve GDPR compliance. 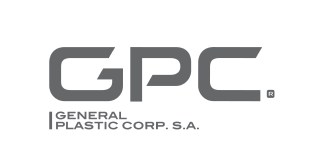 Learn how General Plastic Corp S.A., a Latin American leader in plastic bank, phone, service, and smart cards, uses GoAnywhere Managed File Transfer to eliminate manual processes, automate sensitive data, and remain compliant with PCI DSS. Are You Avoiding These Top 10 File Transfer Risks? Risks and insecurities are everywhere, and sometimes they're hard to spot. Learn how to avoid 10 common file transfer pitfalls, then discover how you can safeguard your data with a secure file transfer solution like GoAnywhere MFT. Learn how this marketing service provider uses GoAnywhere Managed File Transfer in an AWS cloud environment to reduce their manual processes and secure their passwords, user roles, and business-critical data. Don’t miss this up-close look at the extra security features that Secure Mail, Secure Folders and Gateway modules provide. MFT encompasses all aspects of inbound and outbound file transfers while using industry-standard network protocols and encryption. Learn more about what managed file transfer is and how it works in this white paper. 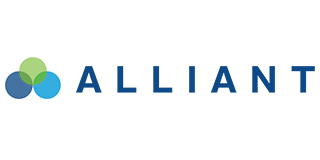 As a member-owned credit union, Alliant Credit Union chose GoAnywhere Managed File Transfer for its remote MFT Agents, a module that helped enhance their PCI-compliant file transfers both in transit and at rest. Learn more about their unique use case. In this webinar you'll learn how easy it is to deploy GoAnywhere MFT to your cloud server and the type of capabilities available with your integration, including high availability and scalability. Watch this webinar to learn how to Secure, Streamline and Audit your File Transfers with GoAnywhere MFT (managed file transfer). Are you using GoAnywhere to the fullest? Join Dan Freeman, Senior Solutions Consultant at GoAnywhere, for our 30-minute webinar series on how to take advantage of the Secure Forms module. 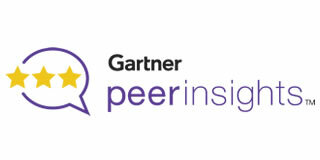 Are you considering the move from on-premise operations to external platforms like the cloud? Download the white paper to get a pulse on the cloud and how to protect your file transfers in it—without compromising the convenience or cost-effectiveness of cloud environments. For one university, using a normal file transfer solution wasn't enough for their needs. 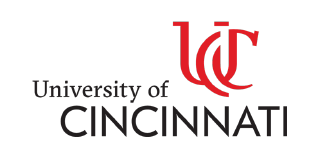 Discover why The University of Cincinnati chose GoAnywhere MFT to reliably transfer and translate their research data on their weather gathering expedition in Alaska. 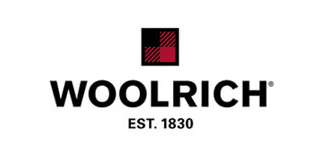 Woolrich needed a managed file transfer solution that would enable it to be PCI DSS compliant, flexible enough to work with their trading partners' guidelines, and encrypt sensitive company files. GoAnywhere MFT helped meet all those needs -- and more. 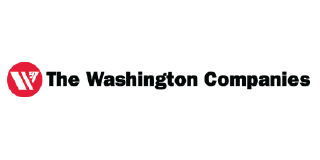 Learn how The Washington Companies use GoAnywhere MFT to automate file transfers between their internal companies and the other companies they work with. From data translation to support for multiple encryption protocols, MFT was just what they needed. When Think Bank needed a way to transfer data between systems, they looked for a solution that was easy to implement, helped with PCI-compliant file transfers, and had robust functionality. Cue GoAnywhere MFT: a solution that does all this and more. 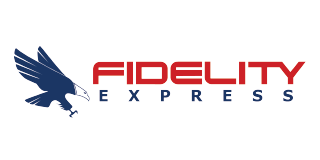 Learn how Fidelity Express uses GoAnywhere MFT to achieve greater cybersecurity practices for file encryption and automate their data flow to and from business partners without requiring them to manually write software scripts. Read the case study here. Are you using GoAnywhere to the fullest? Join Dan Freeman, Senior Solutions Consultant at GoAnywhere, for our 30-minute webinar series on how to take advantage of this robust product. Watch this webinar for an exclusive inside look from IT compliance audit leader Backbone Consultants into the best practices of fortune 500 IT teams. "GoAnywhere MFT has been a perfect fit for our systems because of its ease of use, Security features, audits and reliability. The support for the product is first rate and the continuous adding of functions and features gives us more opportunities to find solutions to file transfer problems." "I just wanted to thank you again for all your help with getting us moved over to GoAnywhere MFT. Your support team does an excellent job! You are very attentive to your customers and that means a lot! I would definitely recommend your product to anyone, not just because it is a great product, but also because you can count on having the support when you need it. You are excellent!!" 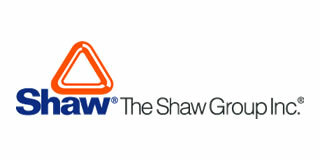 Ajay Bhojane | The Shaw Group Inc.
"You are amazing! I have become a huge fan of GoAnywhere MFT. We are going live today and one GoAnywhere project will replace many vendor interfaces in the future starting with the 8 interfaces that are going in production today. Your support is extraordinary and I would give you 10 out of 10 in terms of satisfaction. Support was able to get me through the issues I encountered and I appreciate the quick response from your developers in addressing my request to increase the parameters on the RUNPROJECT command. Thanks!" "Once we had GoAnywhere MFT in place, it seemed like a different world opened up for us because now we're finding other places where we can use it. For instance, we have also been able to transfer encrypted information to our health insurance provider. Before, we were using software on a PC to do it, and it was pretty cumbersome. Since our data resides on the System i, we were downloading files to the PC, encrypting it, then sending it out. Now, the person can just select an option on the menu and it does it all. For that person, it's saving quite a bit of time and work." "First off, I'd like to tell you folks how pleased I am with the GoAnywhere product. I just started using GoAnywhere MFT late last week and have already put several GoAnywhere Projects into production. After a short learning curve, I was able to really get going with GoAnywhere. What I really like is GoAnywhere's ability to plug CL and RPG-generated variables into the body of an email so that system-generated emails don't have to be sent as attachments. In addition, your template setup is going to cut out a lot of the CL code we've had to use for retrieving and importing files from remote hosts. We're looking forward to trying out the XML options in GoAnywhere too as we will be incorporating them into an upcoming project. Thanks so much, both for a great product and for greater support!" 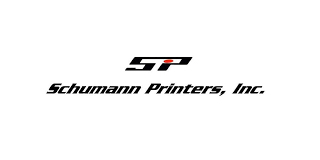 Raymond Murray | Schumann Printers, Inc.
"GoAnywhere MFT is the most remarkable product I have ever used. I am the only RPG programmer in my shop and the amount of code that I have to write to interface other software and machinery to the AS/400 is very time consuming and can get very overwhelming on a day to day basis. Since the purchase of GoAnywhere the amount of code I have had to write in the past has dramatically dropped but the efficiency of getting the proper data has been nothing less than unbelievable. Other than the actual software the Sales and Tech support is the best in the business. I have never used a product that I would rave about to other programmers or IBM Business partners but with GoAnywhere I try to tell everyone I know about it." "We originally purchased GoAnywhere MFT because we had a piece of software that wrote to a SQL database that we could call from the AS/400. We were upgrading to SQL2005 and the software was not compatible. GoAnywhere MFT is compatible with SQL2005 and could be installed on various platforms including the AS/400. Since purchasing GoAnywhere, we find new and creative uses for the software to solve our everyday problems related to securely moving data. It's the 1st tool we turn to when we have new file transfer requirements." 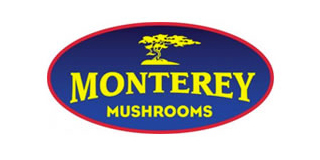 Barbara Bularzik | Monterey Mushrooms, Inc.
"Prior to GoAnywhere MFT, we had to manually download our deposit files from Wells Fargo's HTTPS server on a daily basis. Now with GoAnywhere, we have scheduled those files to be downloaded automatically, which it then imports into a database on our System i server. All of the manual steps were eliminated! We were able to get an automated system up and running quickly, which can be easily adjusted for any schedule changes. The customer service at Linoma Software [now HelpSystems] has also been wonderful. I would definitely recommend GoAnywhere and Linoma's [now HelpSystems] support staff to anyone." "GoAnywhere MFT makes it easy to extract data from any Database. The project-based methodology and architecture in GoAnywhere expedited the process of defining and implementing the data processes I needed to perform. GoAnywhere integrates the extraction, encryption and distribution of information very simply." 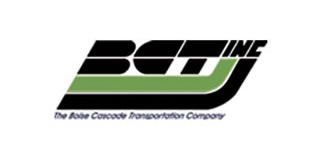 "GoAnywhere MFT allowed us to eliminate and reduce the need for custom programming to transfer files and database records between dissimilar database management systems. We found GoAnywhere to be highly intuitive, flexible, and easy to use. Currently, we are using GoAnywhere to pump database records between MS SQL 2005 and DB2. We are also using GoAnywhere to centralize, automate, and securely transfer files between our Intel and System i platform via SFTP (SSH). GoAnywhere is additionally helpful for database importing and exporting of CSV files. The customer support from Linoma Software [now HelpSystems] has been outstanding. Whenever we had a question or issue, Linoma was able to answer right away and provide us with a solution." "We have used Go Anywhere for several years now, and we have had nothing but success in doing what we need using the product. 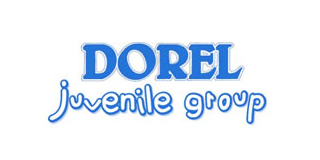 The support staff is very helpful and has never failed to find a solution to any problem we have had." "Our needs started off rather simple in that we needed to exchange files with our bank and it has expanded to multiple business partners. Every time our business expands it seems as though there are additional file exchange requirements. I used to worry about how we were going to accomplish each unique exchange of information. I find myself saying no problem we have GoAnywhere!!" "I'm a Senior Network Engineer and work on Go Anywhere on a daily basis. I'm responsible for keeping it updated, writing and maintaining scripts, troubleshooting transfer issues and I absolutely love this product. The interface and tools to write, maintain and troubleshoot file transfers are extensive and very intuitive. And I just can't say enough about their support staff other then they are outstanding." An introduction to JSON and RESTful Web Services. Learn how to read a JSON file and insert the data into a database such as MySQL, Microsoft SQL Server, PostgreSQL, Derby, Oracle, and DB2 databases. Learn how to connect to and query a wide variety of database servers including MySQL, Microsoft SQL Server, PostgreSQL, Derby, Oracle, and DB2. Then, write data to the JSON file format. Learn how to use the SQL Wizard to quickly build SELECT statements for a wide variety of database servers including MySQL, Microsoft SQL Server, PostgreSQL, Derby, Oracle, and DB2. Learn how to configure a Web User to use two-factor authentication (SSH keys and a password) when authenticating with GoAnywhere’s SFTP service. Is your organization compliant with the newest version of PCI DSS? Find out exactly what you need to know about PCI DSS 3.2 and how the updates affect your file transfers. Are Managed File Solutions Worth the Investment? 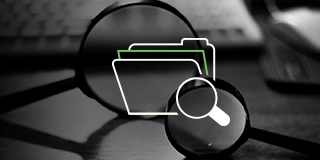 Watch this webinar to learn if managed file solutions are worth the investment. Watch this webinar to learn the for Securing Your FTP or SFTP Server from MFT industry experts. With the ever-rising risk of data breaches, watch this webinar to learn how to avoid making your business an easy target. After your AS2 Service is configured, you need to provision user accounts to access the service. Learn how to create and configure Web Users in GoAnywhere MFT that are used to transfer data using AS2. Learn how to create an SSL certificate, have the certificate signed by a certificate authority, and assign the certificate to the HTTPS service. Learn how to configure the AS2 client in GoAnywhere MFT, create a Project to send an AS2 message, and then process the MDN receipt. Learn how to configure AS2 in GoAnywhere MFT to enable encryption, signatures, compression and the use of receipts for delivery confirmation. The right managed file transfer (MFT) solution saves you money by saving you time, combatting security risks, and increasing efficiency. Find out exactly what kind of benefits you can expect from your MFT investment in this white paper. Learn how to Secure, Streamline and Audit your Enterprise File Transfers in this interactive webinar from GoAnywhere MFT. Data breaches are a growing epidemic. Learn how to develop a solid strategy, incorporating strong security technologies, like encryption, monitoring, and audits, to combat them. This sponsored white paper with HealthIT Security breaks down HIPAA regulations to help you better prepare for audits. Learn what government offices expect of your organization in terms of privacy and security by downloading the white paper. In the healthcare world, the need for a secure, reliable method of sharing electronic protected health information (ePHI) has increased. Download this white paper to find out how managed file transfer can help you meet HIPAA compliance requirements. Healthcare organizations are under increasing pressure to make health information more accessible to both patients and healthcare providers, while ensuring that patient data remains private and secure. Find out how managed file transfer can help. Keeping data secure is a challenge for organizations everywhere. Find out how adding a DMZ gateway to your file transfer processes can provide a critical layer of security that boosts compliance readiness. Learn how managed file transfer can help companies stay ahead of compliance regulations by keeping data transfers secure while saving time and resources. Poor FTP implementation practices have left many businesses with severe security and management issues. There's a better way. This white paper will show you how to bring your FTP implementation into a more modern, secure framework. Improve PCI DSS compliance by avoiding common mistakes with PCI DSS audits.Hear from guest speakers Alan Sabatka and Bob Huerter from Continuum Security Solutions. 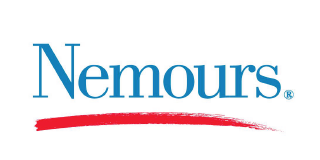 The need to stay current with security and communication protocols, as well as a desire for system consolidation, led Nemours Children's Health System to choose GoAnywhere MFT for their file transfer requirements and business initiatives. In this tutorial, you will learn how to convert a simple SFTP script and cron job into a more secure managed file transfer project. Learn how to use Domains in GoAnywhere MFT in this tutorial. Take a tour of GoAnywhere MFT and learn about the browser-based interface, custom dashboards, user management, workflows, and file transfer services. Learn how to get started with file transfer services, such as FTP, FTPS, SFTP, HTTPS, AS2, and GoDrive. Get an overview on how to design Projects to transfer data, encrypt, and automate processes. Learn the three fastest ways to automate Project workflows in GoAnywhere MFT using Schedules, Monitors and Triggers. PGP file encryption protects sensitive data in transit and at rest. Use this tutorial to import Open PGP keys and achieve signed and encrypted files. Learn how to decrypt files using Open PGP and GoAnywhere Workflows. Learn how to import CSV to database - Tutorial applicable for MySQL, SQL Server, Oracle and DB2 databases. 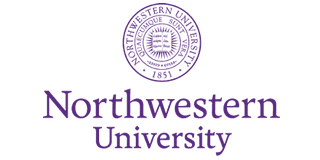 Learn how Northwestern University replaced custom scripts, legacy tools, and manual processes with GoAnywhere MFT, and how the managed file transfer solution provided them with campus-wide automation, security, and reporting. Get Your FTP Server in Compliance '15 with this popular cybersecurity webinar from GoAnywhere MFT. Deciding between an on-premises and cloud MFT solution? This webinar provides an alternative to employees using cloud-based file sharing services. A free on-demand webinar to see how organizations are turning to MFT for a single on-premises solution. Watch this webinar to learn how an on-premises alternative for file sharing will save you time and money in the long term. 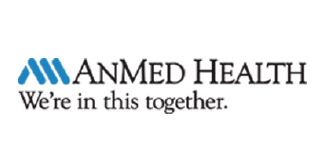 See how AnMed Health improved the stability of their file transfers, eliminated 3rd shift staffing, and achieved significant cost savings with GoAnywhere MFT. Hear from Carl Gottlieb as he shares how Medical University of South Carolina uses GoAnywhere on the iSeries platform for management billing and payment systems. File transfers on IBM i hold unique challenges that can be simplified through the use of Managed File Transfer. Watch this webinar to find out how! Hear how GoAnywhere makes securely transferring files much easier for WIS:DOM Information Systems, Inc. Learn how ICE Services AB uses GoAnywhere as the file transfer component of their rights management system. 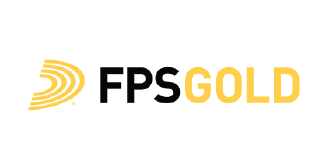 See how the deployment of a secure file transfer solution, GoAnywhere MFT, simplified, secured, and logged file transfer activities for FPS GOLD. 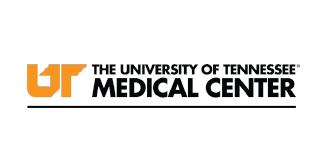 Discover how the University of Tennessee Medical Center streamlined its file transfer processes, increased data security for sensitive PHI, and simplified vendor connections with GoAnywhere MFT. 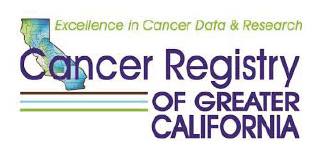 With GoAnywhere MFT, the Cancer Registry of Greater California was able to address a diverse number of needs and requirements in their organization, including the achievement of secure file transfers, notifications, automation, and encrypted emails. Managed File Transfer 101 What's in it for Me? Watch this webinar for a valuable introduction to Managed File Transfer (MFT) and show you what to look for in an MFT solution. 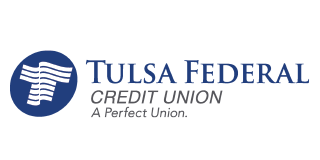 With a small IT team and a long list of projects, Tulsa Federal Credit Union needs to make every minute count. Thankfully, they now save time on their file transfers and related daily tasks with a solution that was quick to implement: GoAnywhere MFT. Hear how GoAnywhere makes securely transferring files much easier for Grocery Outlet by eliminating manual scripting. Learn how CU*Answers uses GoAnywhere to streamline its processes and keep sensitive data—social security numbers, banking account numbers and credit cad information—protected. With 280 retail stores, managing ACH and positive pay transactions efficiently and securely with the banks was a critical priority for Braum's Ice Cream. Hear how they were able to move everything to the IBM i and automate its files transfers. Hear from Kevin Wike of Pennsylvania Housing Financing replaced writing manual scripts with GoAnywhere's automated file transfer to save time and consolidate workflows. 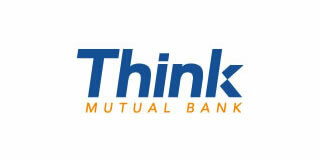 Hear how Think Mutual Bank depends on GoAnywhere to generate hundreds of scheduled reports, as well as to send data to and pull data from a variety of vendors and trading partners. Fortunately for Systems Administrator Amy Hoerle, GoAnywhere is flexible enough to easily adjust to changing demands. 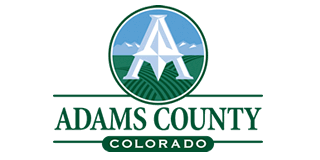 Learn how the fifth largest county in Colorado, Adams County, discovered a streamlined, consistent way to automate their file transfers between internal systems, external systems, and trading partners with GoAnywhere MFT. Hear why Draga Culjik from Hyundai Auto chose GoAnywhere to meet various vendors' security requirements and how she continues to find new ways to implement the solution to make her job easier. See how retailer P.C. Richard & Son consolidated multiple applications and batch FTP scripts by switching to GoAnywhere for Secure FTP. Hear how BlueGrass Mailing Solutions streamlined its inbound file transfer process thanks to GoAnywhere managed file transfer. Hear how Londen Insurance praises GoAnywhere managed file transfer solution for ease of use and time savings. 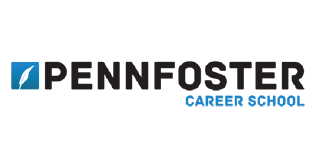 Discover how Penn Foster Career School leverages GoAnywhere MFT to address file transfer projects, manage 5,000 daily jobs, and secure confidential student data in compliance with strict policies. Hear from Barbara Bularzik of Monterey Mushrooms as she shares a few of her favorite features about GoAnywhere. With customers around the country exchanging shipping records, order forms, and more, hear how Bruce Collins from AAA Cooper Transportation uses GoAnywhere to protect files in motion, and help his team streamline their workflows. 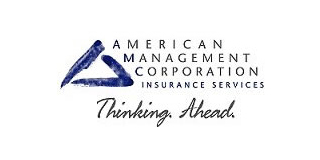 Hear how AF&L Insurance's small IT team accomplishes more in far less time by using GoAnywhere to automate and secure its file transfers. See how a busy insurance company's IT team made it easy to process EDI files and pull claims processing in-house with GoAnywhere. 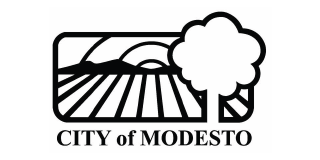 The City of Modesto needed a secure way to meet their trading partners' requirements. With GoAnywhere MFT, they were able to quickly address their need to submit data to CalPERS (California Public Employee Retirement Systems). 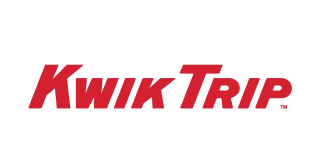 Learn how GoAnywhere Managed File Transfer (MFT) helped Kwik Trip generate and send reports for 20,000 projects a month across their IBM i environment, reducing the time it took to write and manage their original file transfer program. 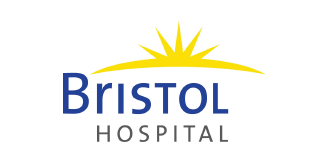 Learn how Bristol Hospital replaced its manual file transfer processes, secured its data, transformed its connectivity with trading partners, and improved overall with GoAnywhere MFT, an automated and cost-effective solution. 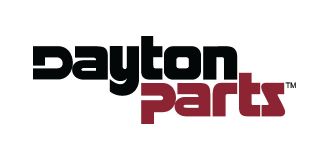 A manufacturer and distributor of thousands of parts for trucks, Dayton Parts' primary focus is their customers. Learn how Dayton Parts automates their growing file transfer needs and simplifies data distribution with GoAnywhere Managed File Transfer. 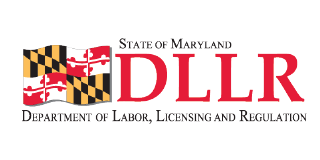 The State of Maryland's Department of Labor, Licensing, and Regulation (DLLR) needed to securely automate their native processes on the IBM i. Discover how GoAnywhere MFT allowed the development staff to return to their regular development tasks.